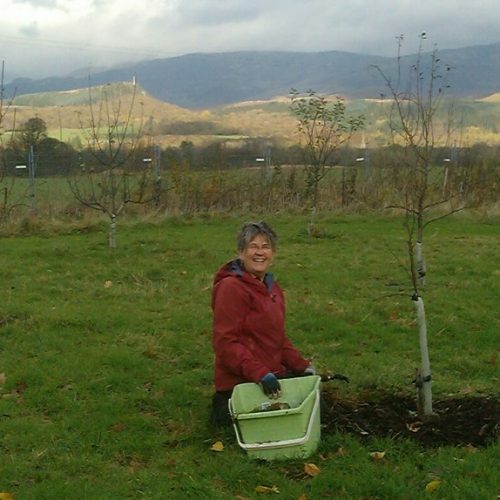 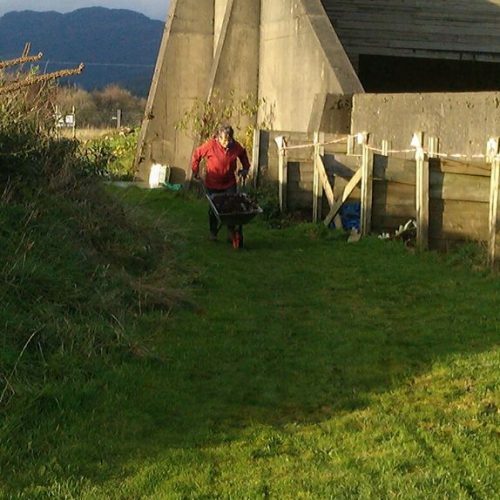 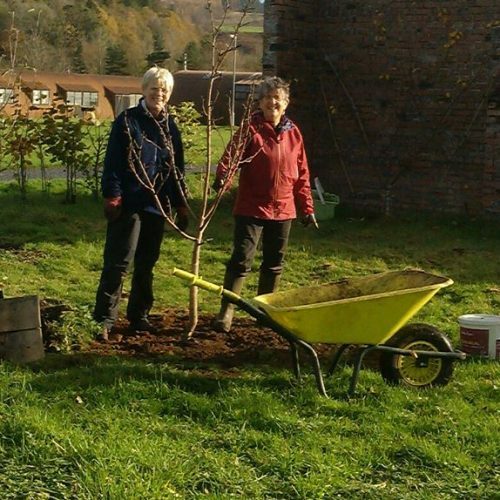 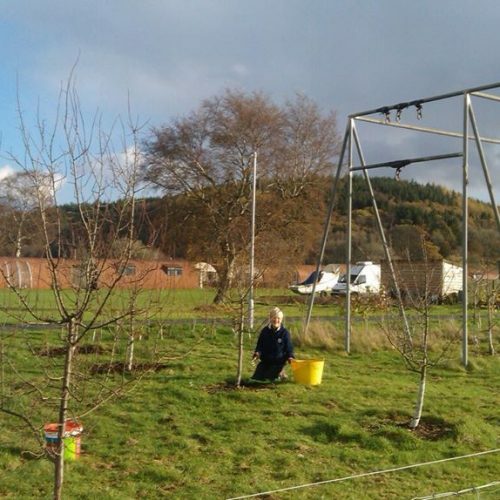 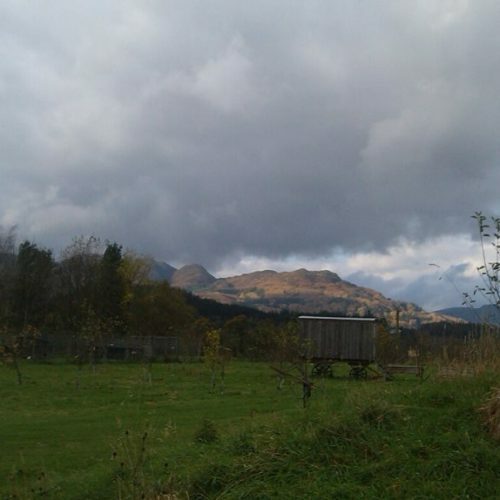 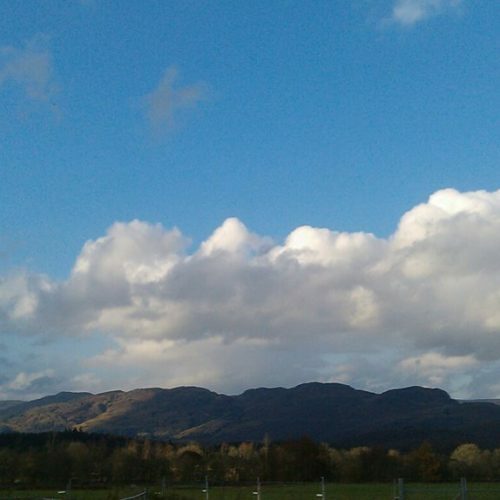 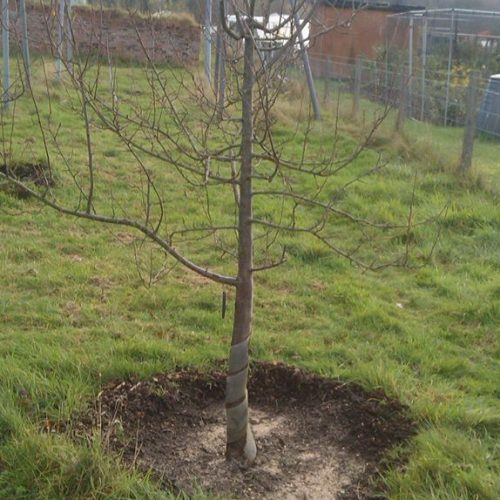 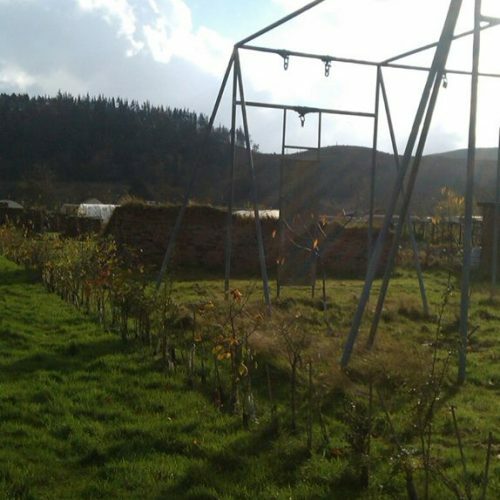 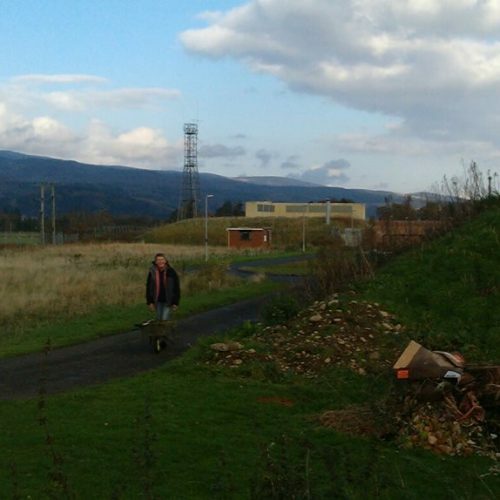 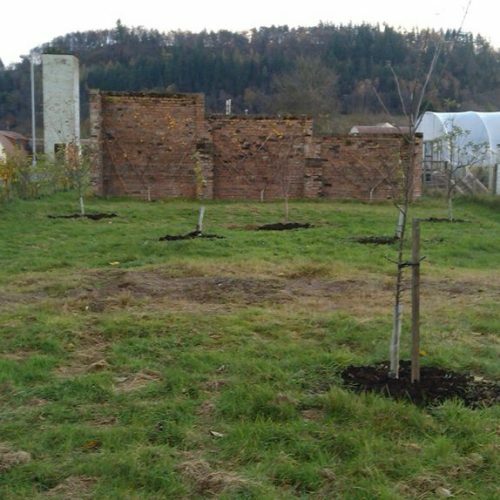 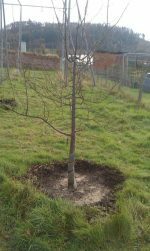 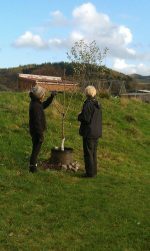 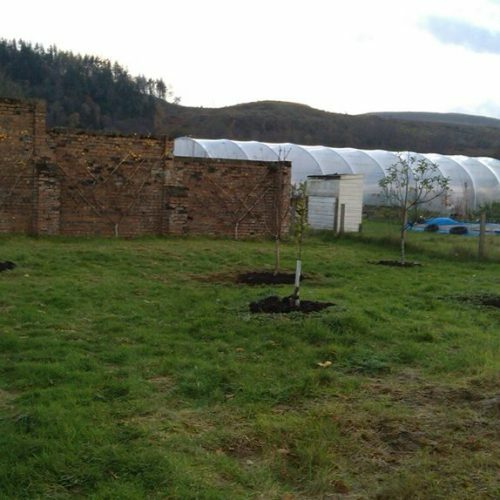 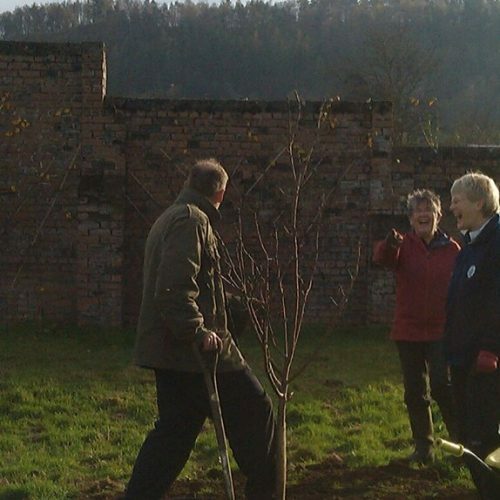 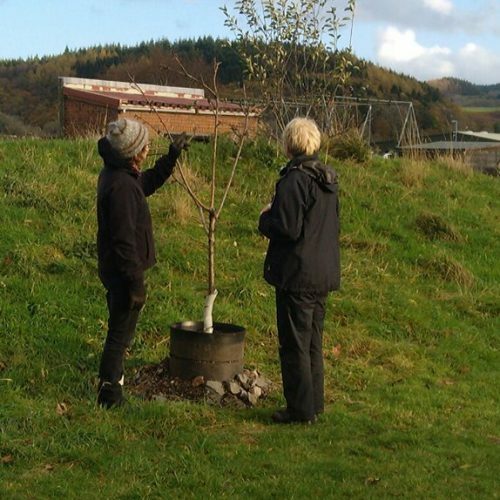 The Orchard was planted at Cultybraggan Camp in April 2011. 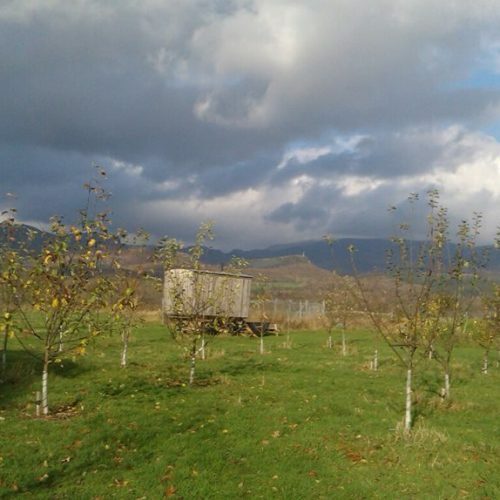 There are 40 varieties of apples, as well as plums, damsons, gages, Morello cherries, quinces, medlars, a few walnut trees and a small grove of hazels. 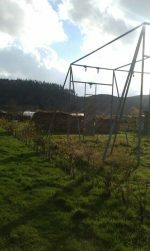 There are soft fruits too – black currants, red currants, gooseberries, raspberries and blueberries. 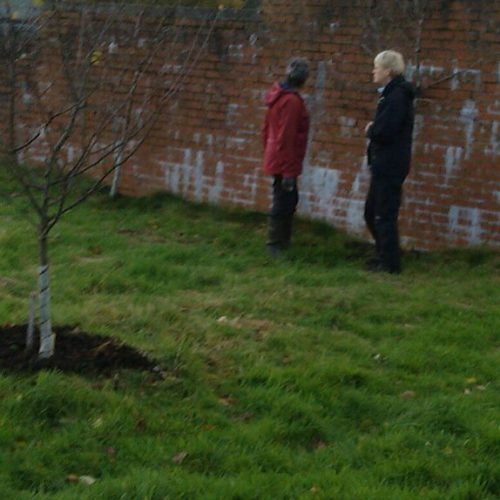 The orchard is surrounded by an edible hedge – elder, hawthorn, guelder rose, blackthorn, sea buckthorn, hazel etc. 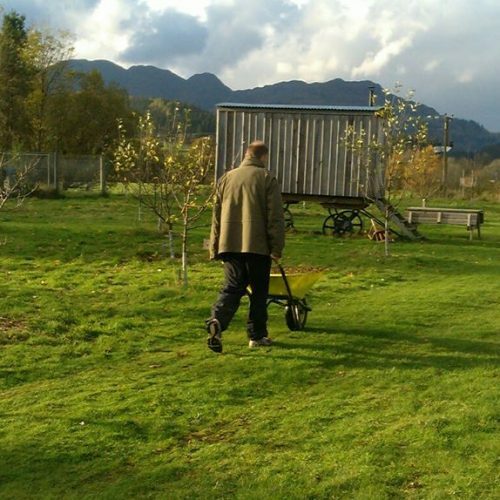 The orchard, which is in the most beautiful setting, is for the enjoyment of everyone…. 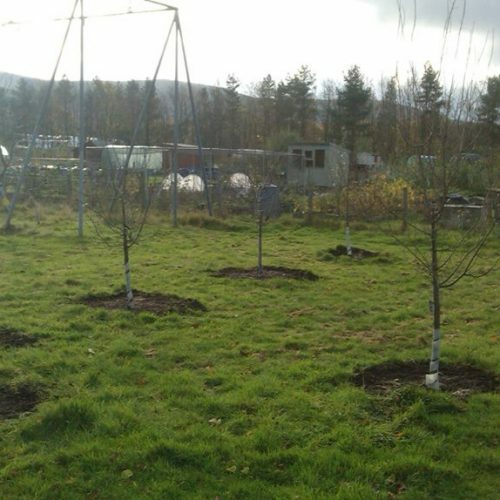 there are picnic tables set under the trees. 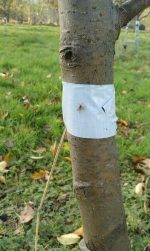 There is a label on each tree with its name, rootstock and the year it was planted. 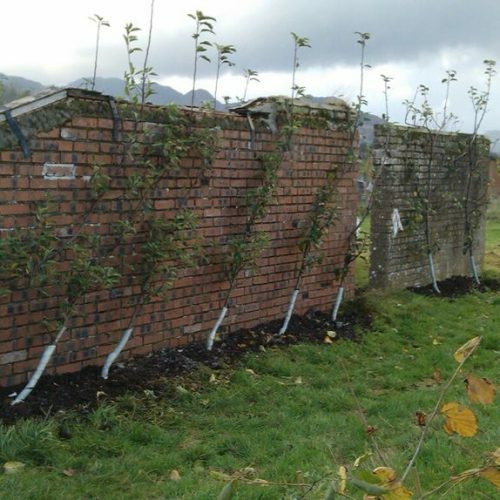 There is an Apple Day in October each year, when there’s the opportunity to taste and buy many of the varieties and to purchase some delicious fresh or pasteurised apple juice. 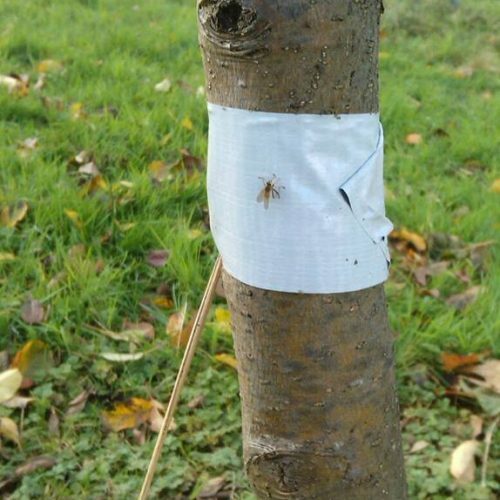 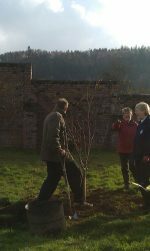 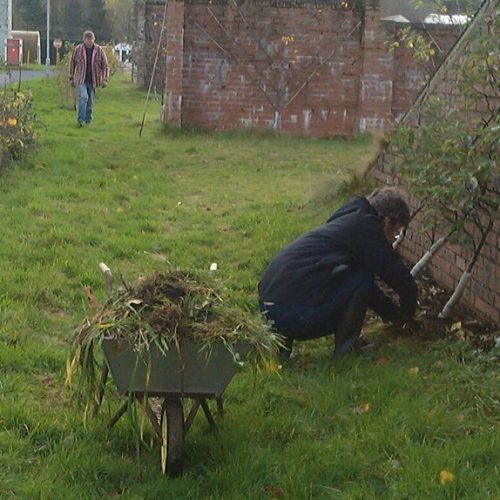 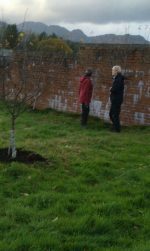 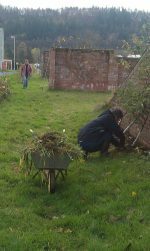 The Orchard is cared for and maintained by a group of dedicated volunteers – the Orchard Working Group – and a work party meets on the first Sunday of each month – summer and winter – whatever the weather ….. 11 am to 3 pm. 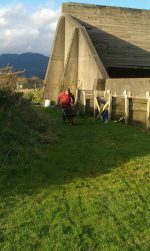 Volunteers and visitors very welcome.